Love the vehicle so much you would like to get an e-price? Android Auto, Apple CarPlay, Auto-Dimming Rearview & Driver-Side Mirrors, Blind Spot Assist, Convenience Package, Garage Door Opener, HANDS-FREE ACCESS, Heated Front Seats, KEYLESS GO®, Panorama Sunroof, Premium Package, Rear Spoiler, SiriusXM Satellite Radio, Smartphone Integration. Recent Arrival! 24/37 City/Highway MPGAndroid Auto, Apple CarPlay, Auto-Dimming Rearview & Driver-Side Mirrors, Blind Spot Assist, Convenience Package, Garage Door Opener, HANDS-FREE ACCESS, Heated Front Seats, KEYLESS GO®, Panorama Sunroof, Premium Package, Rear Spoiler, SiriusXM Satellite Radio, Smartphone Integration. 12-Color Interior Ambient Lighting, 8" Color Display Upgrade, Android Auto, Apple CarPlay, Blind Spot Assist, HANDS-FREE ACCESS, Heated Front Seats, KEYLESS GO®, LED Headlamps, Panorama Sunroof, Premium Package, Radio: Audio 20 CD w/Garmin Navigation Pre-Wiring, SiriusXM Satellite Radio, Smartphone Integration. Recent Arrival! 24/32 City/Highway MPG12-Color Interior Ambient Lighting, 8" Color Display Upgrade, Android Auto, Apple CarPlay, Blind Spot Assist, HANDS-FREE ACCESS, Heated Front Seats, KEYLESS GO®, LED Headlamps, Panorama Sunroof, Premium Package, Radio: Audio 20 CD w/Garmin Navigation Pre-Wiring, SiriusXM Satellite Radio, Smartphone Integration. Android Auto, Apple CarPlay, Blind Spot Assist, Burmester Surround Sound System, KEYLESS GO®, Premium Package, Pre-Wiring for Rear Seat Entertainment, Roof Spoiler, SiriusXM Satellite Radio, Smartphone Integration Package, Static LED Headlamps. Recent Arrival! 21/27 City/Highway MPGAndroid Auto, Apple CarPlay, Blind Spot Assist, Burmester Surround Sound System, KEYLESS GO®, Premium Package, Pre-Wiring for Rear Seat Entertainment, Roof Spoiler, SiriusXM Satellite Radio, Smartphone Integration Package, Static LED Headlamps. Blind Spot Assist, Burmester Surround Sound System, Electronic Trunk Closer, HANDS-FREE ACCESS, HANDS-FREE Comfort Package, Heated Front Seats, Illuminated Star, KEYLESS GO®, Power Folding Mirrors, Pre-Installation for SD-Card Navigation, Premium Package, Rear Chrome Trim, Rear Cross Traffic Alert, Rear Spoiler, SiriusXM Satellite Radio. Recent Arrival! 22/31 City/Highway MPGBlind Spot Assist, Burmester Surround Sound System, Electronic Trunk Closer, HANDS-FREE ACCESS, HANDS-FREE Comfort Package, Heated Front Seats, Illuminated Star, KEYLESS GO®, Power Folding Mirrors, Pre-Installation for SD-Card Navigation, Premium Package, Rear Chrome Trim, Rear Cross Traffic Alert, Rear Spoiler, SiriusXM Satellite Radio. AMG® Line, Blind Spot Assist, Burmester Surround Sound System, Diamond Grille in Chrome, Electronic Trunk Closer, Flat-Bottom Steering Wheel, HANDS-FREE ACCESS, HANDS-FREE Comfort Package, Heated Front Seats, Illuminated Star, KEYLESS GO®, Night Package, Power Folding Mirrors, Premium Package, Rear Spoiler, SD-Card Navigation Pre-wiring, SiriusXM Satellite Radio, Sport Suspension. Recent Arrival! 22/31 City/Highway MPGAMG® Line, Blind Spot Assist, Burmester Surround Sound System, Diamond Grille in Chrome, Electronic Trunk Closer, Flat-Bottom Steering Wheel, HANDS-FREE ACCESS, HANDS-FREE Comfort Package, Heated Front Seats, Illuminated Star, KEYLESS GO®, Night Package, Power Folding Mirrors, Premium Package, Rear Spoiler, SD-Card Navigation Pre-wiring, SiriusXM Satellite Radio, Sport Suspension. Android Auto, Apple CarPlay, Blind Spot Assist, Class II Trailer Hitch, HANDS-FREE ACCESS, HANDS-FREE Comfort Package, KEYLESS GO®, Parking Assist Package, PARKTRONIC w/Active Parking Assist, Premium Package, SD-Card Navigation Pre-Wiring, SiriusXM Satellite Radio, Smartphone Integration, Smartphone Integration Package, Static LED Headlamps, Surround View Camera System. Recent Arrival! 21/27 City/Highway MPGAndroid Auto, Apple CarPlay, Blind Spot Assist, Class II Trailer Hitch, HANDS-FREE ACCESS, HANDS-FREE Comfort Package, KEYLESS GO®, Parking Assist Package, PARKTRONIC w/Active Parking Assist, Premium Package, SD-Card Navigation Pre-Wiring, SiriusXM Satellite Radio, Smartphone Integration, Smartphone Integration Package, Static LED Headlamps, Surround View Camera System. AMG® Line, Blind Spot Assist, Class II Trailer Hitch, HANDS-FREE ACCESS, Head-Up Display, Heated Steering Wheel, KEYLESS GO®, Parking Assist Package, PARKTRONIC w/Active Parking Assist, Premium Package, Roof Spoiler, SD-Card Navigation Pre-Wiring, SiriusXM Satellite Radio, Static LED Headlamps, Surround View Camera System. Recent Arrival! 21/27 City/Highway MPGAMG® Line, Blind Spot Assist, Class II Trailer Hitch, HANDS-FREE ACCESS, Head-Up Display, Heated Steering Wheel, KEYLESS GO®, Parking Assist Package, PARKTRONIC w/Active Parking Assist, Premium Package, Roof Spoiler, SD-Card Navigation Pre-Wiring, SiriusXM Satellite Radio, Static LED Headlamps, Surround View Camera System. 18" AMG® Multi-Spoke Wheels, AIRSCARF®® Ventilated Headrest, AMG® Line Exterior, Analog Clock on Dashtop, Android Auto, Apple CarPlay, Black Ash Wood Trim, Blind Spot Assist, Dual-Zone Automatic Climate Control, Galvanized Shift Paddles, harman/kardon® Logic 7® Surround Sound System, Heated Front Seats, KEYLESS GO®, Premium Package, Rear Deck Spoiler, SiriusXM Satellite Radio, Smartphone Integration Package, Sport Body Styling, Sport Package USA. Recent Arrival! 23/32 City/Highway MPG18" AMG® Multi-Spoke Wheels, AIRSCARF®® Ventilated Headrest, AMG® Line Exterior, Analog Clock on Dashtop, Android Auto, Apple CarPlay, Black Ash Wood Trim, Blind Spot Assist, Dual-Zone Automatic Climate Control, Galvanized Shift Paddles, harman/kardon® Logic 7® Surround Sound System, Heated Front Seats, KEYLESS GO®, Premium Package, Rear Deck Spoiler, SiriusXM Satellite Radio, Smartphone Integration Package, Sport Body Styling, Sport Package USA. AMG® Line, Blind Spot Assist, Burmester Surround Sound System, HANDS-FREE ACCESS, Head-Up Display, Heated Steering Wheel, KEYLESS GO®, Multimedia Package, Parking Assist Package, PARKTRONIC w/Active Parking Assist, Premium Package, Pre-Wiring for Rear Seat Entertainment, Radio: COMAND® System w/Navigation, Roof Spoiler, SiriusXM Satellite Radio, Sport Exhaust System, Static LED Headlamps, Surround View Camera System, Touchpad. Recent Arrival! 21/27 City/Highway MPGAMG® Line, Blind Spot Assist, Burmester Surround Sound System, HANDS-FREE ACCESS, Head-Up Display, Heated Steering Wheel, KEYLESS GO®, Multimedia Package, Parking Assist Package, PARKTRONIC w/Active Parking Assist, Premium Package, Pre-Wiring for Rear Seat Entertainment, Radio: COMAND® System w/Navigation, Roof Spoiler, SiriusXM Satellite Radio, Sport Exhaust System, Static LED Headlamps, Surround View Camera System, Touchpad. AMG® Line, Burmester Surround Sound System, HANDS-FREE ACCESS, Head-Up Display, Heated Steering Wheel, Illuminated Door Sills, Illuminated Star, Interior Sport Package, KEYLESS GO®, Multicolor Ambient Lighting, Multimedia Package, Parking Assist Package, PARKTRONIC w/Active Parking Assist, Premium Package, Pre-Wiring for Rear Seat Entertainment, Radio: COMAND® System w/Navigation, Roof Spoiler, SiriusXM Satellite Radio, Sport Exhaust System, Sport Package Exterior, Surround View Camera System, Touchpad. Recent Arrival! 21/27 City/Highway MPGAMG® Line, Burmester Surround Sound System, HANDS-FREE ACCESS, Head-Up Display, Heated Steering Wheel, Illuminated Door Sills, Illuminated Star, Interior Sport Package, KEYLESS GO®, Multicolor Ambient Lighting, Multimedia Package, Parking Assist Package, PARKTRONIC w/Active Parking Assist, Premium Package, Pre-Wiring for Rear Seat Entertainment, Radio: COMAND® System w/Navigation, Roof Spoiler, SiriusXM Satellite Radio, Sport Exhaust System, Sport Package Exterior, Surround View Camera System, Touchpad. Active Blind Spot Assist, Active Lane Keeping Assist, AMG® Line, BAS® PLUS w/Cross-Traffic Assist, Burmester Surround Sound System, Class II Trailer Hitch, DISTRONIC PLUS® w/PRESAFE Brake, Driver Assistance Package, HANDS-FREE ACCESS, Head-Up Display, Heated Steering Wheel, KEYLESS GO®, Multicolor Ambient Lighting, Multimedia Package, Parking Assist Package, PARKTRONIC w/Active Parking Assist, Premium Package, PRESAFE PLUS, Pre-Wiring for Rear Seat Entertainment, Radio: COMAND® System w/Navigation, Roof Spoiler, SiriusXM Satellite Radio, Static LED Headlamps, Surround View Camera System, Touchpad. Recent Arrival! 21/27 City/Highway MPGActive Blind Spot Assist, Active Lane Keeping Assist, AMG® Line, BAS® PLUS w/Cross-Traffic Assist, Burmester Surround Sound System, Class II Trailer Hitch, DISTRONIC PLUS® w/PRESAFE Brake, Driver Assistance Package, HANDS-FREE ACCESS, Head-Up Display, Heated Steering Wheel, KEYLESS GO®, Multicolor Ambient Lighting, Multimedia Package, Parking Assist Package, PARKTRONIC w/Active Parking Assist, Premium Package, PRESAFE PLUS, Pre-Wiring for Rear Seat Entertainment, Radio: COMAND® System w/Navigation, Roof Spoiler, SiriusXM Satellite Radio, Static LED Headlamps, Surround View Camera System, Touchpad. 64-Color Ambient Lighting, AIRCAP®, Burmester Surround Sound System, Cabrio Comfort Package, COMAND® Navigation, Dark Blue SoftTop, Heated Steering Wheel, Illuminated Door Sills, Inductive Wireless Charging & NFC Pairing, Multimedia Package, Parking Assistance Package, PARKTRONIC w/Active Parking Assist, Power Folding Mirrors, Premium Package, Rear Chrome Trim, Semi-Automatic Trunk Separator, SiriusXM Satellite Radio. Recent Arrival! 29/22 Highway/City MPG64-Color Ambient Lighting, AIRCAP®, Burmester Surround Sound System, Cabrio Comfort Package, COMAND® Navigation, Dark Blue SoftTop, Heated Steering Wheel, Illuminated Door Sills, Inductive Wireless Charging & NFC Pairing, Multimedia Package, Parking Assistance Package, PARKTRONIC w/Active Parking Assist, Power Folding Mirrors, Premium Package, Rear Chrome Trim, Semi-Automatic Trunk Separator, SiriusXM Satellite Radio. 64-Color Ambient Lighting, AIRCAP® Line, AMG® Line Interior, Black SoftTop, Blind Spot Assist, Burmester Surround Sound System, Cabrio Comfort Package, COMAND® Navigation, Diamond Grille, Heated Steering Wheel, Inductive Wireless Charging & NFC Pairing, Multimedia Package, Premium Package, Semi-Automatic Trunk Separator, Sport Suspension. Recent Arrival! 29/22 Highway/City MPG64-Color Ambient Lighting, AIRCAP® Line, AMG® Line Interior, Black SoftTop, Blind Spot Assist, Burmester Surround Sound System, Cabrio Comfort Package, COMAND® Navigation, Diamond Grille, Heated Steering Wheel, Inductive Wireless Charging & NFC Pairing, Multimedia Package, Premium Package, Semi-Automatic Trunk Separator, Sport Suspension. 8" AMG® 5-Spoke Alloy Wheels, 64-Color Ambient Lighting, AIRCAP® Line, AMG® Line Interior, Black SoftTop, Blind Spot Assist, Burmester Surround Sound System, Cabrio Comfort Package, COMAND® Navigation, Diamond Grille, Heated Steering Wheel, Illuminated Star, Inductive Wireless Charging & NFC Pairing, Multimedia Package, Parking Assistance Package, PARKTRONIC w/Active Parking Assist, Premium Package, Rear Chrome Trim, Semi-Automatic Trunk Separator, SiriusXM Satellite Radio, Sport Suspension, Surround View System. Recent Arrival! 29/22 Highway/City MPG8" AMG® 5-Spoke Alloy Wheels, 64-Color Ambient Lighting, AIRCAP® Line, AMG® Line Interior, Black SoftTop, Blind Spot Assist, Burmester Surround Sound System, Cabrio Comfort Package, COMAND® Navigation, Diamond Grille, Heated Steering Wheel, Illuminated Star, Inductive Wireless Charging & NFC Pairing, Multimedia Package, Parking Assistance Package, PARKTRONIC w/Active Parking Assist, Premium Package, Rear Chrome Trim, Semi-Automatic Trunk Separator, SiriusXM Satellite Radio, Sport Suspension, Surround View System. 64-Color Ambient Lighting, AIRCAP® Line, Black SoftTop, Burmester Surround Sound System, Cabrio Comfort Package, COMAND® Navigation, Diamond Grille, Heated Steering Wheel, Illuminated Star, Inductive Wireless Charging & NFC Pairing, Multimedia Package, Parking Assistance Package, PARKTRONIC w/Active Parking Assist, Power Folding Mirrors, Premium Package, Rear Chrome Trim, Semi-Automatic Trunk Separator, Sport Suspension, Surround View System. Recent Arrival! 29/22 Highway/City MPG64-Color Ambient Lighting, AIRCAP® Line, Black SoftTop, Burmester Surround Sound System, Cabrio Comfort Package, COMAND® Navigation, Diamond Grille, Heated Steering Wheel, Illuminated Star, Inductive Wireless Charging & NFC Pairing, Multimedia Package, Parking Assistance Package, PARKTRONIC w/Active Parking Assist, Power Folding Mirrors, Premium Package, Rear Chrome Trim, Semi-Automatic Trunk Separator, Sport Suspension, Surround View System. AIRCAP® Line, AMG® Line Interior, Black SoftTop, Burmester Surround Sound System, Cabrio Comfort Package, COMAND® Navigation, Diamond Grille, Heated Steering Wheel, Illuminated Star, Inductive Wireless Charging & NFC Pairing, Leather Seating Package, Multimedia Package, Night Package, Premium Package, Rear Chrome Trim, Semi-Automatic Trunk Separator, Sport Suspension. Recent Arrival! 29/22 Highway/City MPGAIRCAP® Line, AMG® Line Interior, Black SoftTop, Burmester Surround Sound System, Cabrio Comfort Package, COMAND® Navigation, Diamond Grille, Heated Steering Wheel, Illuminated Star, Inductive Wireless Charging & NFC Pairing, Leather Seating Package, Multimedia Package, Night Package, Premium Package, Rear Chrome Trim, Semi-Automatic Trunk Separator, Sport Suspension. AMG Optics Package, AMG Performance Exhaust System, AMG Performance Steering Wheel w/Nappa Inserts, AMG Performance Studio Package, Blind Spot Assist, Head-Up Display w/AMG Specific Content, Heated front seats, Night Package (P55), SD-Card Navigation Pre-Wiring, Wheels: 19" Black Multispoke. Recent Arrival!AMG Optics Package, AMG Performance Exhaust System, AMG Performance Steering Wheel w/Nappa Inserts, AMG Performance Studio Package, Blind Spot Assist, Head-Up Display w/AMG Specific Content, Heated front seats, Night Package (P55), SD-Card Navigation Pre-Wiring, Wheels: 19" Black Multispoke. Active Parking Assist, AMG Optics Package, AMG Performance Exhaust System, AMG Performance Studio Package, Blind Spot Assist, Classic Red Seat Belts, Head-Up Display w/AMG Specific Content, Live Traffic, Night Package, Parking Assistance Package, Pre-Installation for SD-Card Navigation, Surround View System, Wheels: 19" Black Multispoke. Recent Arrival! 19/27 City/Highway MPGActive Parking Assist, AMG Optics Package, AMG Performance Exhaust System, AMG Performance Studio Package, Blind Spot Assist, Classic Red Seat Belts, Head-Up Display w/AMG Specific Content, Live Traffic, Night Package, Parking Assistance Package, Pre-Installation for SD-Card Navigation, Surround View System, Wheels: 19" Black Multispoke. Adaptive Highbeam Assist, AMG® Performance Exhaust, Black SoftTop, Blind Spot Assist, Exterior Lighting Package, Heated & Ventilated Front Seats, LED Intelligent Light System, Red Seat Belts, SD-Card Navigation Pre-Wiring. Recent Arrival! 19/26 City/Highway MPGAdaptive Highbeam Assist, AMG® Performance Exhaust, Black SoftTop, Blind Spot Assist, Exterior Lighting Package, Heated & Ventilated Front Seats, LED Intelligent Light System, Red Seat Belts, SD-Card Navigation Pre-Wiring. AMG® Performance Exhaust System, Burmester Surround Sound System, Class II Trailer Hitch, HANDS-FREE ACCESS, HANDS-FREE Comfort Package, Head-Up Display, Multimedia Package, Navigation Map Updates For 3 Years, Parking Assist Package, Parking Pilot w/Surround View System, PARKTRONIC w/Active Parking Assist, Radio: COMAND® System w/Navigation, Red Seatbelts, Surround View Camera System, Touchpad. Recent Arrival!AMG® Performance Exhaust System, Burmester Surround Sound System, Class II Trailer Hitch, HANDS-FREE ACCESS, HANDS-FREE Comfort Package, Head-Up Display, Multimedia Package, Navigation Map Updates For 3 Years, Parking Assist Package, Parking Pilot w/Surround View System, PARKTRONIC w/Active Parking Assist, Radio: COMAND® System w/Navigation, Red Seatbelts, Surround View Camera System, Touchpad. The Mercedes-Benz nameplate represents the pinnacle of luxury, while driving a sporty coupe or convertible embodies the essential sense of freedom that comes with an open road. Combined, these qualities make for a truly unparalleled experience behind the wheel! Fortunately, you can claim this unrivaled experience for yourself when you explore the coupes and convertibles currently available at our Washington DC area Mercedes-Benz dealership. We pride ourselves on providing customers with an extensive selection to explore, which means you can always find a vehicle you love here in our showroom. The team at our dealership doesn’t just want to help you find the perfect vehicle–we want to help put you behind the wheel, too! That’s why we’re always offering new Mercedes-Benz specials at our Washington DC area dealership, including valuable opportunities to save on many of our most popular coupes and convertibles. If you’re eager to claim the open road as your own, then it’s time to come in for a test drive behind the wheel of your dream car. 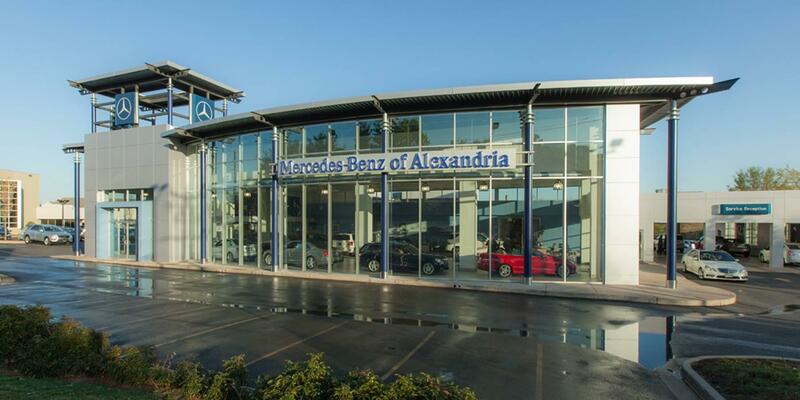 Simply contact Mercedes-Benz of Alexandria by calling (703) 341-2100 today to schedule a test drive!